In a unique order, the Supreme Court has requested National Green Tribunal(NGT) Chairman to allocate a case to the same bench which earlier heard and reserved judgement on it. The order was passed in an appeal filed by an NGO, 'Citizens for Doon' and few other local residents, who alleged unfairness and lack of propriety on the part of NGT in dealing with the original application filed by them. The Supreme Court accepted the submission of the appellants that the application should be heard by the same bench which reserved judgment on it. The application in NGT challenged the 'Char Dham Highway Project' in Uttarakhand on the ground that project involved widening of 900kms of double-lane highway in the Himalayan region leading to diversion of a vast area of reserved forest/forest area in ecologically fragile region full of active landslides. It was alleged that the work commenced without taking environment clearance under the EIA Notification, 2006 and that the forest clearances were taken in complete violation of the Forest Conservation Act, 1980. The matter was considered by a three member bench of Justice Dr. Jawad Rahim, Justice S.P. Wangdi and Dr. Nagin Nanda. The bench restrained felling of any trees for the project and ordered that there shall be no activity that will adversely impact the environment. After elaborate hearing on several dates, the matter was reserved for judgment on May 31. To the surprise of the appellants, the reserved matter was listed before another bench presided by the newly appointed Chairman, retired SC judge Justice Adarsh Kumar Goel, on August 9. The appellants were told that the matter was mentioned before the bench by ASG Pinky Anand on August 6, and then the bench decided to rehear the matter. Justice Dr. Jawad Rahim, Justice S.P. Wangdi and Dr. Nagin Nanda were the other members of the bench. 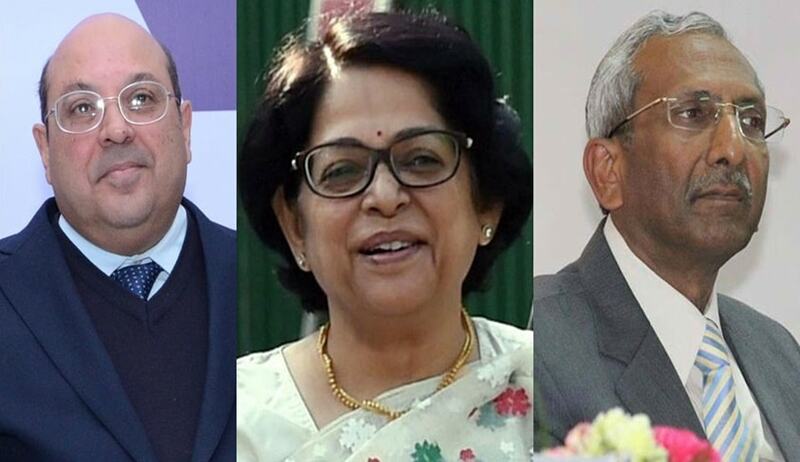 The appellants were taken aback as to how a matter which was reserved for judgment can be directed to be reheard by a different bench, as Justice A.K Goel was not part of the bench which heard the matter. The appellants lamented it had no notice of mentioning made on August 6. The appellant also stated that the order passed on August 6 was not uploaded in the NGT website. Despite objections of the appellant, the bench headed by Chairperson decided to rehear the matter. The appellants filed an application seeking to recall/review the orders passed on August 6 and 9. The recall/review application was listed on 17.08.2018 before a bench of Justice A.K. Goel, Justice Dr. Jawad Rahim and Dr. Nagin Nanda, where Justice S.P. Wangdi was not a member. The appellants urged that the recall/review application should be heard by the same bench which passed the orders dated 06.08.18 and 09.08.18 and only that bench can appreciate the arguments advanced by the appellants. The Tribunal however, rejected the prayer of the appellants and dismissed the recall/review application. Challenging these order, the appellants filed appeal before the Supreme Court under Section 22 of the NGT Act, 2010. The appellants pointed out that it was settled law that once hearing is complete the parties have no further rights and privileges to approach the Court. " In the facts of the present case, the bench which heard the matter did not list it for pronouncement of judgment/order so that all the parties are informed. It is necessary that for pronouncing the judgment including rehearing by the same bench, the matter should have been listed in the causelist so that the parties are informed about the decision of the bench which heard the matter. Vide judgment of this Hon’ble Court reported in (2008) 2 SCC 588 and (1988) 1 SCC 80, it has been held that the purpose of pronouncing the judgment in open Court is that the parties know as to what transpired and would therefore, proceed to conduct their affairs accordingly. It has been held that, if such a procedure is not followed the confidence of the litigants in the judicial process would be shaken", contended the appellants before the Supreme Court. The appeal was considered by a bench of Justice Rohinton F Nariman and Justice Indu Malhotra. Advocate Sanjay Parikh submitted for the appellants that in the fitness of things, the matter should go back to the bench which reserved the matter on May 31. Accepting the submission, the SC bench observed : "Since the matter appear to be a complex one and has been heard over several days, we take it that the rehearing will only be on some final aspects"